Most restaurants evolve over time and changing a restaurant menu will often be part of the process. Here are seven things you’ll want to do if it’s time to make big changes to your restaurant’s menu. We recently read an entrepreneurial success story about the restaurant industry on app.com where a restaurant owner said that if there was one thing they would do differently, it would have been to have designed their kitchen differently, because their menu has grown and changed so much in the decade since the restaurant opened. This is probably true for a lot of restaurant owners. The menu items that inspired your restaurant concept to begin with have probably evolved since you opened, and you’ve probably tested and added many other new food and beverage options over time. Some of these were probably easy to do given your current setup; others, not so much. And there may have even been some things you wanted to try but couldn’t due to facility limitations. It got us to thinking about what it would take for a restaurant owner who wanted to make major changes to the menu or even – essentially – launch a whole new restaurant concept including a complete change of menu within the confines of their current location and space. 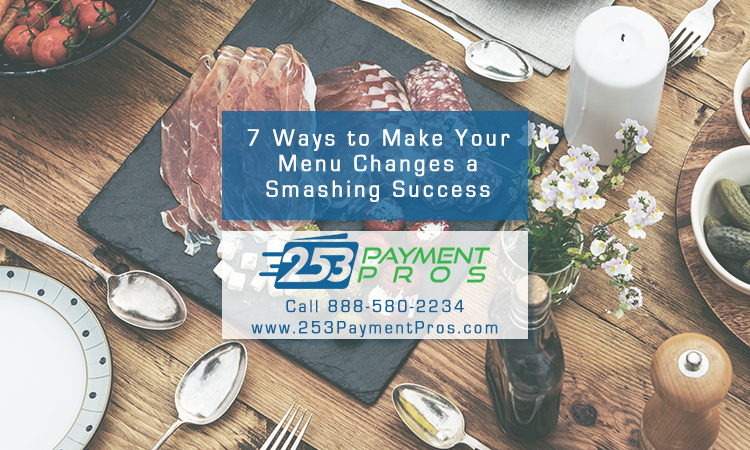 From changes to the competitive marketplace, regional consumer demographics, or rules and regulations governing the food service industry, there are many reasons why you might be thinking about changing a restaurant menu. Here are seven things you can do to help ensure the success and growth of your business as you make these changes. 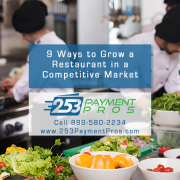 Whether you are opening your first restaurant, making tweaks to your menu or changing a restaurant menu completely, there’s no question that your facility’s layout, equipment, kitchen, storage, etc. has the ability to limit your options or even put the kibosh on your plan. 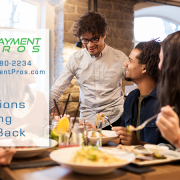 Whether proposed changes mean you need to make updates and buy equipment in order to add new menu items or your entire facility will need to be remodeled in order to accommodate a complete overhaul of your overall restaurant concept, it’s highly likely that you may need some time of restaurant equipment financing to complete the project. 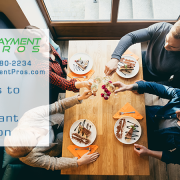 Our restaurant cash advance financing might be an ideal option for you. 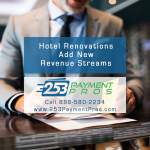 It can be used for a wide variety of purposes, even including covering payroll and expenses if your restaurant renovation means that your doors will be closed for a short period of time. 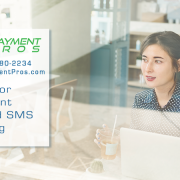 Since a restaurant cash advance financing can provide funding in a matter of days (not weeks), you can even consider this restaurant financing tool mid-renovation if need be. 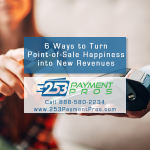 It’s a great financing alternative for businesses that expect to add new revenue, as might occur when changing a restaurant menu to add new menu items or renovating in order to attract more people in the local area. 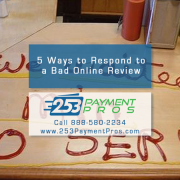 Obviously you don’t want to change your restaurant’s menu only to find that you have lost loyal customers as a result. If retaining people from your existing customer base is important, then it’s also important for you to consult them along the way as you consider making major changes to your menu or facility. 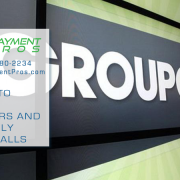 Use surveys, hold focus groups and invite some of your most loyal customers to be part of the brainstorming and planning process. If the demographics of consumers in your local area is evolving then it’s going to be important for you to change your restaurant over time as well. Staying on top of census information, trends, and information such as an influx of new residents or major employers entering or leaving your region can all point to areas of opportunity for your restaurant. If you are making major changes to your restaurant menu or completely changing your restaurant’s concept, it would be wise to touch base with influencers who can help to make sure that these changes bring in new customers. Major area employers, city leaders, civic influencers (such as Rotarians, Chamber of Commerce, Clergy, Educators, etc.) and internal VIPs such as board members, investors, vendors, and suppliers could all potentially go on to this list. One really important thing to consider when changing a restaurant menu is sustainability; in other words, is there enough available food service talent in your local area to staff and run your restaurant under it’s new concept. If your concept is innovative, requires special skills or knowledge, or is unfamiliar to current and/or prospective staff, plan for a longer learning curve and a formal training program. While the downside might be a more expensive orientation and training program, it’s important to remember that the customer experience is key. The more you invest in ensuring a unique, intriguing, buzz-worthy restaurant experience, the more likely you are to generate public interest, word of mouth referrals and repeat patronage. Sometimes how you launch is every bit as important as what you launch. Whether you are just announcing a few new restaurant menu items or you have done a complete restaurant renovation, the direct and email marketing, social media, restaurant website updates and public relations you put to work to let people know about what you are about to do (and/or what you’ve just done) have the power to put customers in seats. This is important not only in terms of validating your decisions (especially if board members or investors have doubts) but is also important for creating buzz, generating referrals, paying off any debt incurred in the process – and of course for the sustainability and success of your business in the future.